ICMA's Academic Award is presented to an academic leader or institution that has made a significant contribution to the formal education of students pursuing careers in local government. 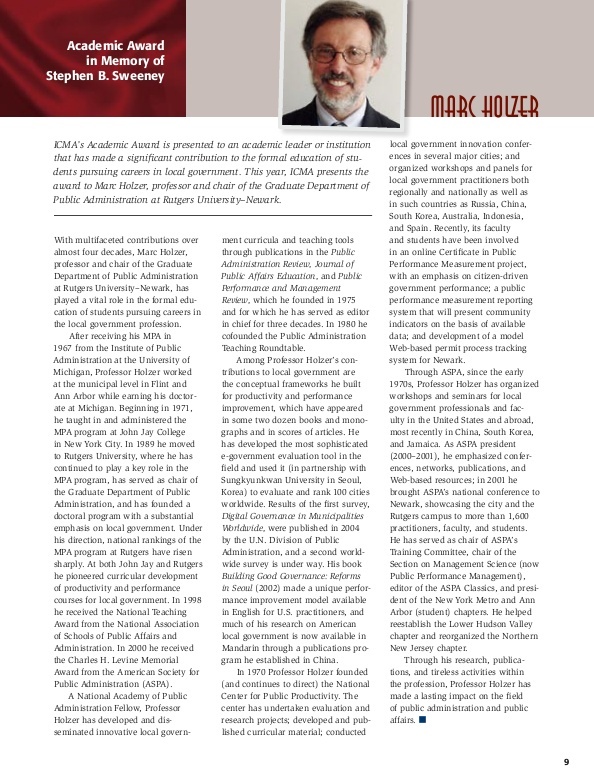 In 2005, ICMA presented the award to Marc Holzer, professor and chair of the Graduate Department of Public Administration at Rutgers University–Newark. Professor Holzer has been recognized for the innovations in local government curricula and teaching tools he has developed in his 30+ years in academia. Learn more about ICMA's Annual Awards program.